Did you know that the words “may” and “shall” could be used interchangeably? 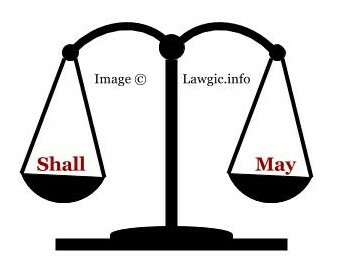 In Law, sometimes the word “may” can mean “shall” or “must” to imply compulsion and sometimes the word “shall” may not indicate mandatory behaviour but may mean something completely optional – exactly the way in which the word “may” is used. This article deals with the Interpretation of the words “may” and “shall” in Indian Law and what they really mean. Since these words are not technical terms as far as Law is concerned, reliance is placed upon various Case Law, which helps us understand how to interpret these terms. I may be wrong but I think you would be wise to go. Times may change but human nature stays the same. May you live to an old age. You shall do it. He shall do it. The meetings of the council shall be public. It is significant to note that the word used for the seller to realise market fee from his purchaser is “may” while the word used as for the seller to pay the market fee to the Committee is “shall”. 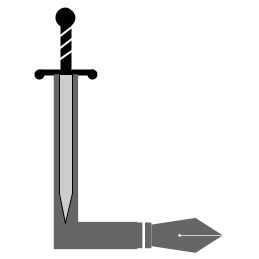 Employment of the said two monosyllables of great jurisprudential import in the same clause dealing with two rights regarding the same burden must have two different imports. The legislative intendment can easily be discerned from the frame of the sub-clause that what is conferred on the seller is only an option to collect market fee from his purchaser, but the seller has no such option and it is imperative for him to remit the fee to the Committee. In other words, the Market Committee is entitled to collect market fee from the seller irrespective of whether the seller has realised it from the purchaser or not. Section 55 uses the word “may sue‟ which indicates a discretionary element that a joint bhumidhar may approach the Court of Revenue Assistant for partition. Normally, the word “may‟ means discretion and is not mandatory. In the present case we do not see any reason why the word “may‟ in Section 55, should be read as “must‟ or “shall‟. Courts do not interpret the word “may‟ as “shall” unless such interpretation is necessary and required to void absurdity, inconvenient consequence or is mandated by the intent of the legislature which is collected from other parts of the statute. While examining the third aspect, the courts examine the purpose, object, design and scope of the statute. 10. To reiterate the words “may” and “shall” are distinct in meaning. While one confers a discretionary power, the latter one pelts out mandatory directions. These words are not synonymous but may be used interchangeably if the context requires such interpretation. Amicable resolution of disputes and differences is encouraged and recognized by law. It is not forbidden. The courts while interpreting provisions of law tend to support settlement and mutual agreements. Unless a specific provision of law is breached and violated, a settlement agreement is not prohibited. The effort of Court is to minimize litigation and not to multiply it. “7. …It follows that the order to be passed must be discretionary and the power to pass it must, therefore, be directory and not mandatory. In other words, the word “may”, used before “stay” in Section 442 of the Act really means “may” and not “must” or “shall” in such a context. In fact, it is not quite accurate to say that the word “may”, by itself, acquires the meaning of “must” or “shall’ sometimes. This word, however, always signifies a conferment of power. That power may, having regard to the context in which it occurs, and the requirements contemplated for its exercise, have annexed to it an obligation which compels its exercise in a certain way on facts and circumstances from which the obligation to exercise it in that way arises. In other words, it is the context which can attach the obligation to the power compelling its exercise in a certain way. The context, both legal and factual, may impart to the power that obligatoriness. 8. Thus, the question to be determined in such cases always is whether the power conferred by the use of the word “may” has, annexed to it, an obligation that, on the fulfilment of certain legally prescribed conditions, to be shown by evidence, a particular kind of order must be made. If the statute leaves no room for discretion the power has to be exercised in the manner indicated by the other legal provisions which provide the legal context. Even then the facts must establish that the legal conditions are fulfilled. A power is exercised even when the court rejects an application to exercise it in the particular way in which the applicant desires it to be exercised. Where the power is wide enough to cover both an acceptance and a refusal of an application for its exercise, depending upon facts, it is directory or discretionary. It is not the conferment of a power which the word “may” indicates that annexes any obligation to its exercise but the legal and factual context of it. This as we understand it, was the principle laid down in the case cited before us: Frederic Guilder Julius v. Right Rev. Lord Bishop of Oxford: Re v. Thomas Thellusson Carter. (5 AC 214). “Mandamus which is a discretionary remedy under Article 226 of the Constitution is requested to be issued, inter alia, to compel performance of public duties which may be administrative, ministerial or statutory in nature. Statutory duty may be either directory or mandatory. Statutory duties, if they are intended to be mandatory in character, are indicated by the use of the words “shall” or “must”. But this is not conclusive as “shall” and “must” have, sometimes, been interpreted as “may”. What is determinative of the nature of duty, whether it is obligatory, mandatory or directory, is the scheme of the statute in which the “duty” has been set out. Even if the “duty” is not set out clearly and specifically in the statute, it may be implied as correlative to a “right”. “Obligatory duties must be distinguished from discretionary powers. With the latter mandamus has nothing to do: it will not, for example, issue to compel a minister to promote legislation. Statutory duties are by no means always imposed by mandatory language with words such as ‘shall’ or ‘must’. Sometimes they will be the implied counterparts of rights, as where a person ‘may appeal’ to a tribunal and the tribunal has a correlative duty to hear and determine the appeal. Sometimes also language which is apparently merely permissive is construed as imposing a duty, as where ‘may’ is interpreted to mean ‘shall’. Even though no compulsory words are used, the scheme of the Act may imply a duty. This entry was posted in Legal Doctrines, Useful Information on May 5, 2016 by admin.